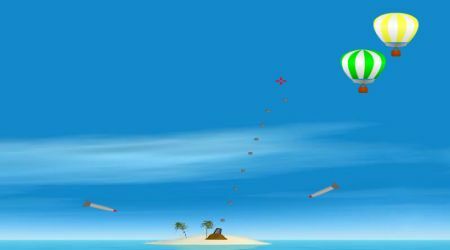 You need to defend your island and palm trees from the missiles and balloons. Aim and shoot your cannon using the mouse. There are two modes of playing in this game, play the one that you like best. In survival, you must hold your ground and defeat the incoming enemies for as long as you can. 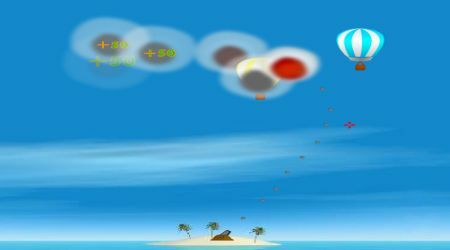 In Balloon Pop, try to destroy all your enemies using as little ammo as possible.